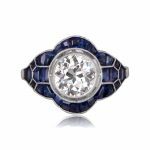 A rare Art Deco era sapphire ring, featuring a cushion-cut sapphire, and framed by a halo of diamonds and a halo of French-cut sapphires. 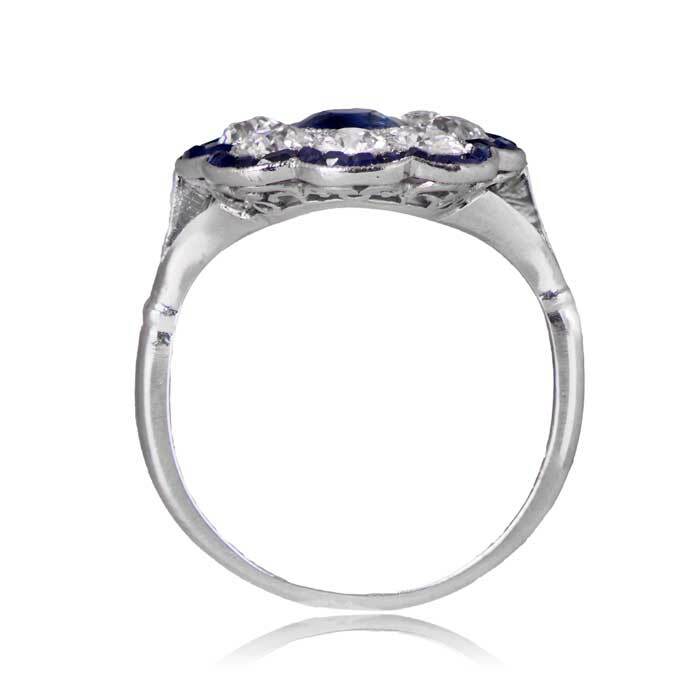 The center sapphire weighs 0.93 carats. The ring sits very low on the finger and showcases fine filigree and openwork. 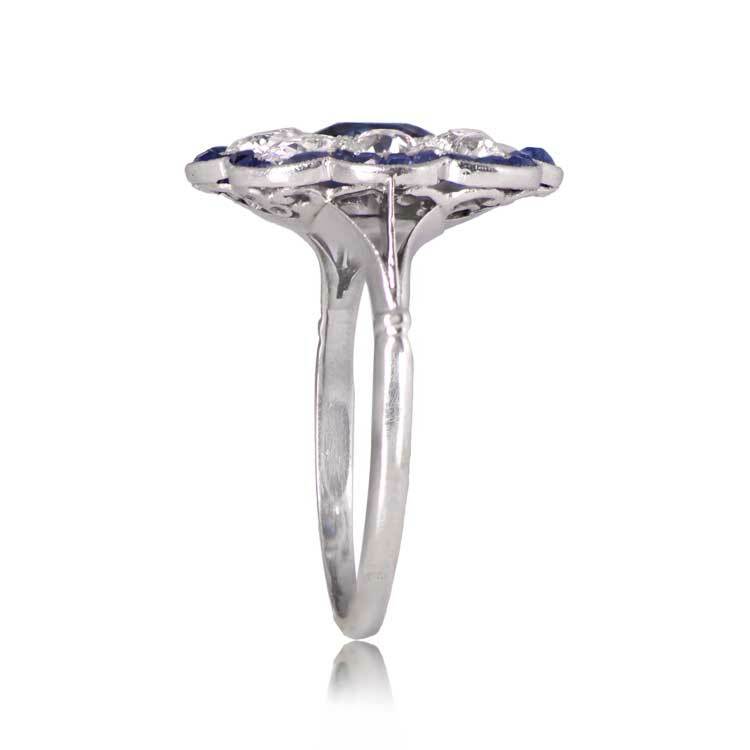 The ring was handcrafted in platinum during the Art Deco Era, circa 1920. 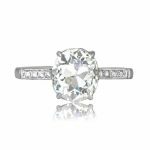 If you would like more information on this ring, please don’t hesitate to contact us. 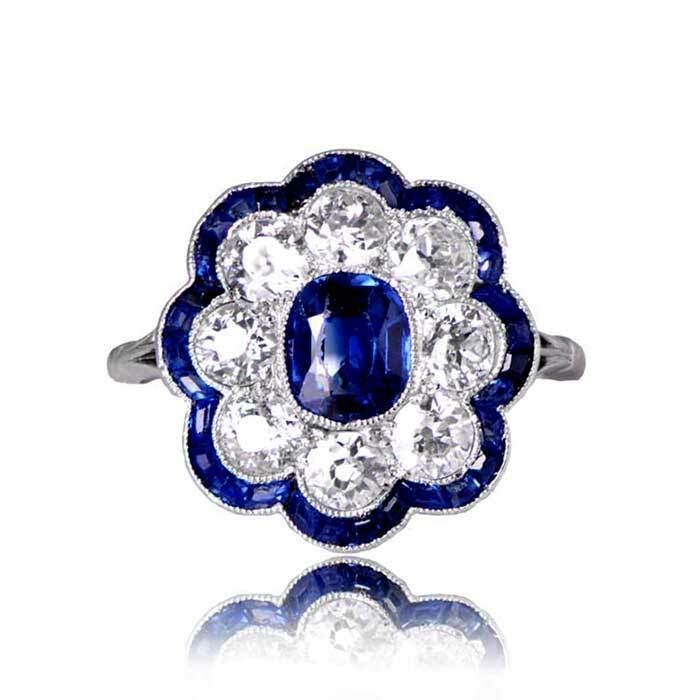 SKU: 11859 Categories: Sapphire Engagement Rings, Vintage Engagement Rings - Contact us and request additional pictures.